Tom Wishon is offering his answer to adjustable weight driver heads. 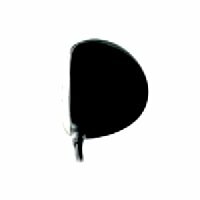 The Wishon 739 driver is his answer to a forged custom driver head with five different weight screws to facilitate adjustment in head weight, center of gravity movement to change launch angles, spin rates, and with the Cp4 titanium hosel, the ability to adjust the lie angle and face angle. Not just your ordinary titanium driver head. A great looking head at address and comes with Wishon's long list of technology inovations. We think a winner has just been introduced. •739CCG Titanium Drivers are True Forged to enable an ultra-thin 0.7mm wall thickness design to reduce the headweight to be as light as 193 grams for over length assembly when desired. •Five Different Color Coded Weight Screws plus TWGT’s hosel weight bore allows clubmakers to customize the headweight from 193g up to 229g to offer length assembly from 42” to 46 1/2”. •Different Weight Screws Allow Center of Gravity Movement to change launch angle by up to 2.5º while also changing spin up to 500 rpms for later release players. •Color Coded Weight Screws are offered in 2.5g(red), 6.5g(black), 9g(white), 13g(gold) and 16g(silver). 730CCG head requires two screws. •Cp4 Titanium Hosel Allows Custom Lie and Face Angle Bending by +/-2* in any direction. Why Can I Hit This Club But Not That Club? Experienced custom club makers know the answer to this question. But most golfers who experience this after a visit to a retail golf store/pro shop to buy the latest and greatest new model don’t really know the answer. What’s more, when a golfer buys a new golf club(s) from their local golf store or pro shop, if they end up hitting the new club(s) poorly or worse than their previous club(s), more times than not the golfer comes to the conclusion the new club is a “bad design”. So why is it that golfers so often buy new clubs only to find they are either perform no better than or sometimes worse than the clubs they have played previously? The answer to this question is always the same, regardless of the club – because something about the new clubs doesn’t properly FIT the golfer’s individual combination of size, strength, athletic ability or swing characteristics. This is where the wishon 739 driver head fits in. There are no less than 13 different specifications that account for how one golf club can be different than another. 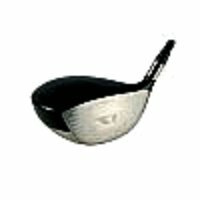 Here’s the list - Loft, Lie, Face Angle, Length, Swingweight, Total Weight, Shaft Overall Flex, Shaft Bend Point, Shaft Weight, Set Make-Up, Grip Style, Grip Size, and Clubhead Design. To experienced custom club makers, there are sub spec variations within some of these 13. But these are the 13 KEY clubfitting variables that if matched correctly to the golfer’s size, strength, athletic ability or swing characteristics will ensure the golfer can and will play to the best of their individual ability. Likewise, if one or more of these 13 are not well matched to the golfer, therein lies the answer to this question of Why Can I Hit This Club But Not That Club. So the trick is to find which of the 13 fitting specs are right and which ones are not. 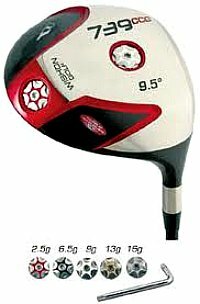 And the only way to truly get to the bottom of that quest is to employ the services of a trained, experienced professional custom clubmaker aqnd the Wishon 739 Driver Head.